Wintablet. Tablet + keyboard dock = too little for an innovation? 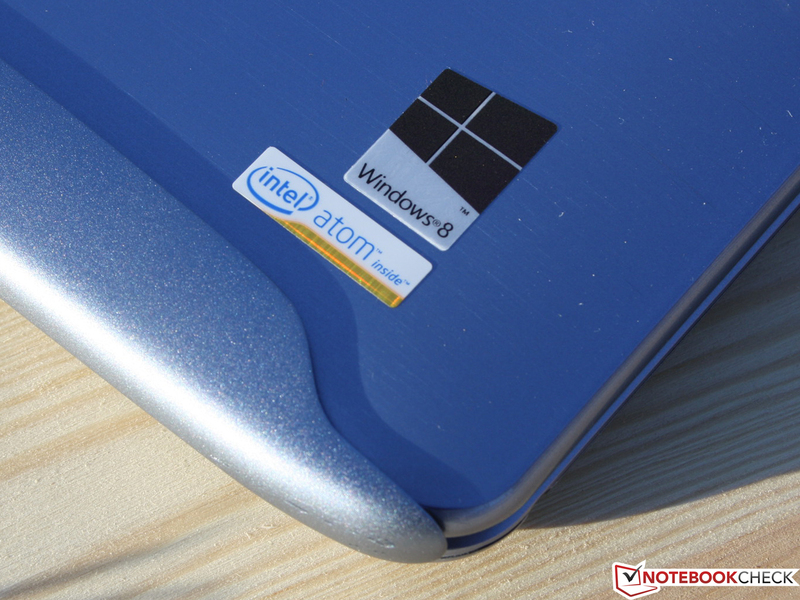 We are testing Intel's tablet platform based on new hardware for the first time. 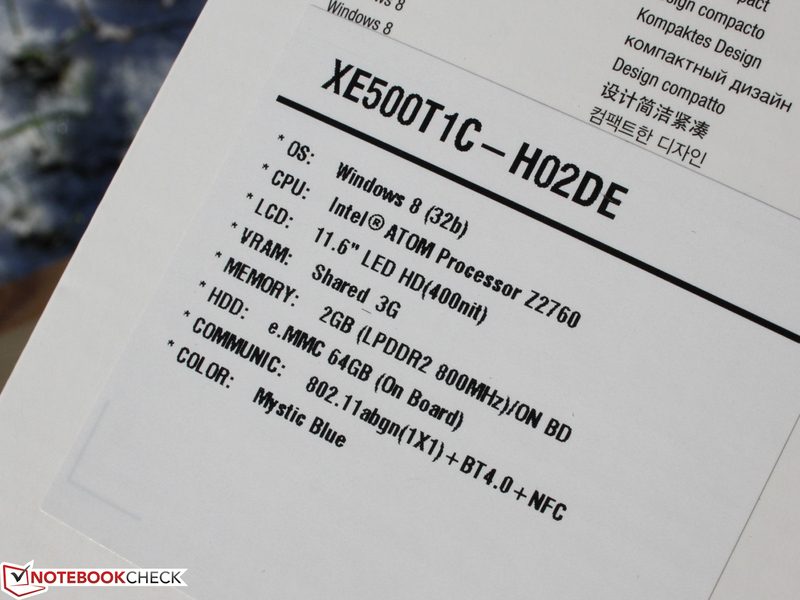 Can the new Atom processor keep pace with a genuine 32-bit Windows 8? 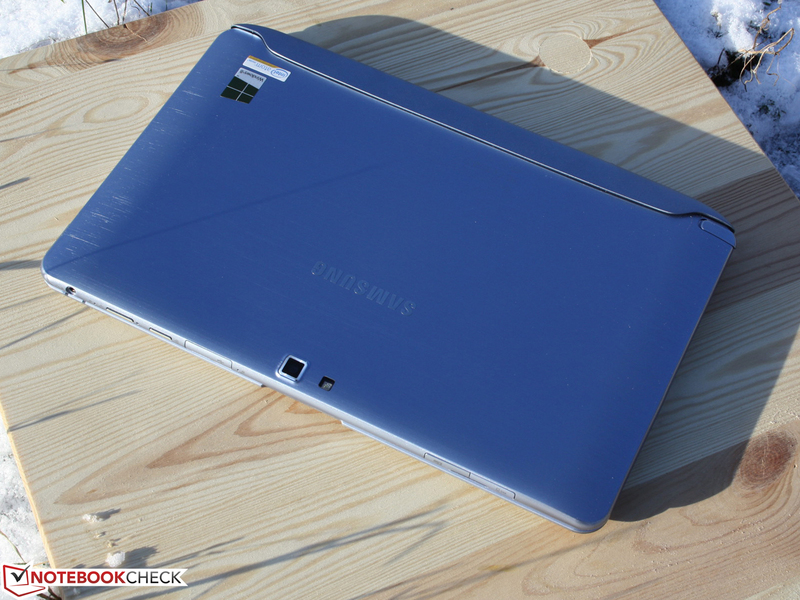 Samsung ATIV Smart PC XE500T1C-A02DE: A dream for Windows fanboys: A full-fledged Windows 8 on a tablet convertible. The perfect tool? Tablet or Windows PC? Let's simply do both! 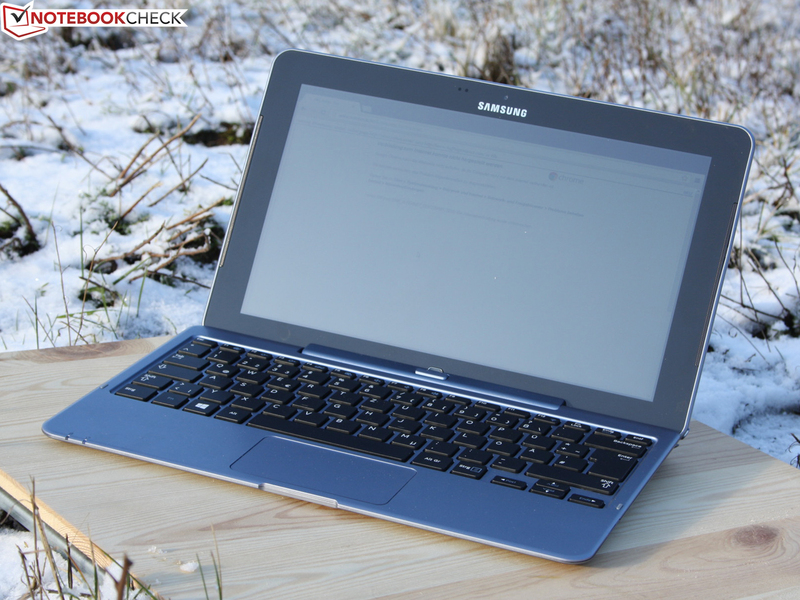 Samsung faces up to the convergence of tablets and Windows-clamshell laptops with a new series. 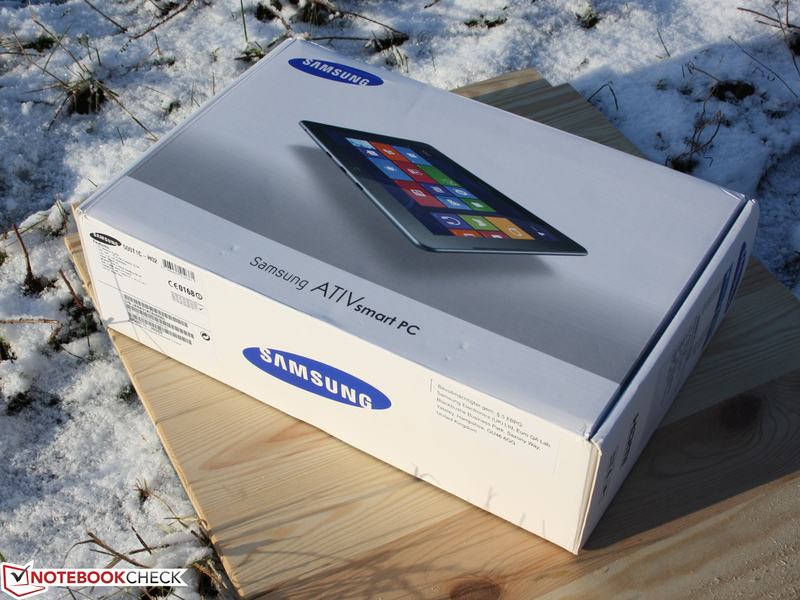 The brand name ATIV includes smartphones ("S", Windows Phone 8), tablets ("Tab", Windows RT), Atom convertibles like our test device (Smart PC, Windows 8) and Intel Core convertibles (Smart PC Pro, Windows 8). 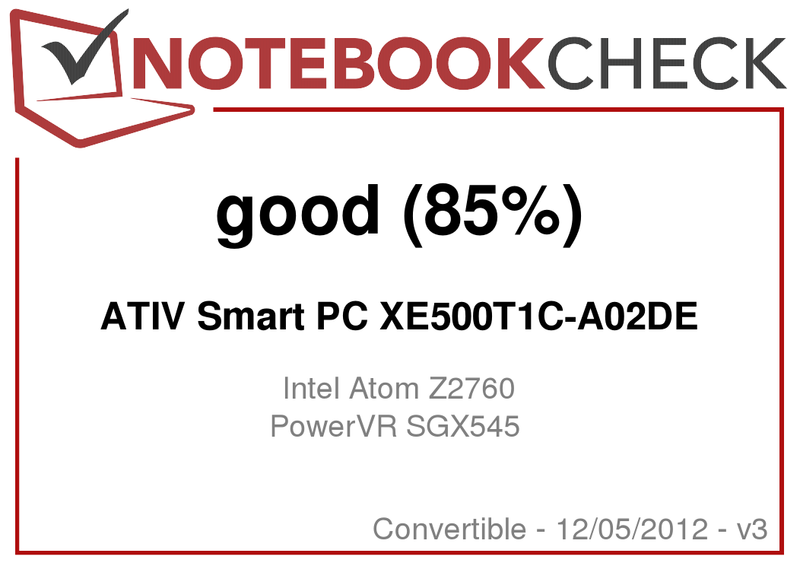 Our ATIV Smart PC XE500T1C-A02DE is technically a netbook although Intel's Atom Z2760 (Clover Trail) and the integrated PowerVR SGX545 consume much less power than the prior Pine Trail range. How will the SoC (system-on-a-chip), specially designed for tablets, fare with a normal version of Windows 8? Mind you, Windows RT is not the Smart PC's brain like in Microsoft's Surface tablet. 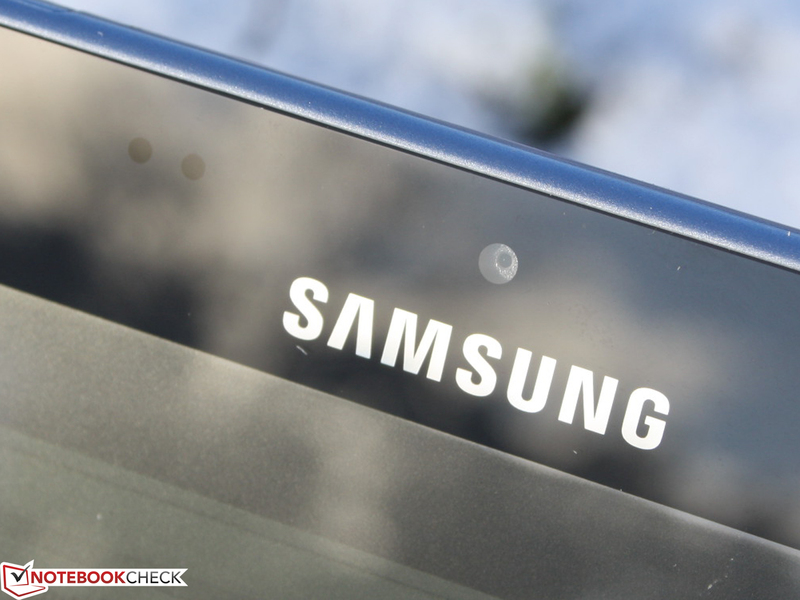 Samsung prioritizes tablet use and opts for the docking concept. This is only one option for turning a tablet into a subnotebook. Other possibilities are flip-frames (Dell XPS 12), slider mechanisms (Sony Vaio Duo 11, Toshiba Satellite U920t) and a 360 degree lid (Lenovo IdeaPad Yoga). 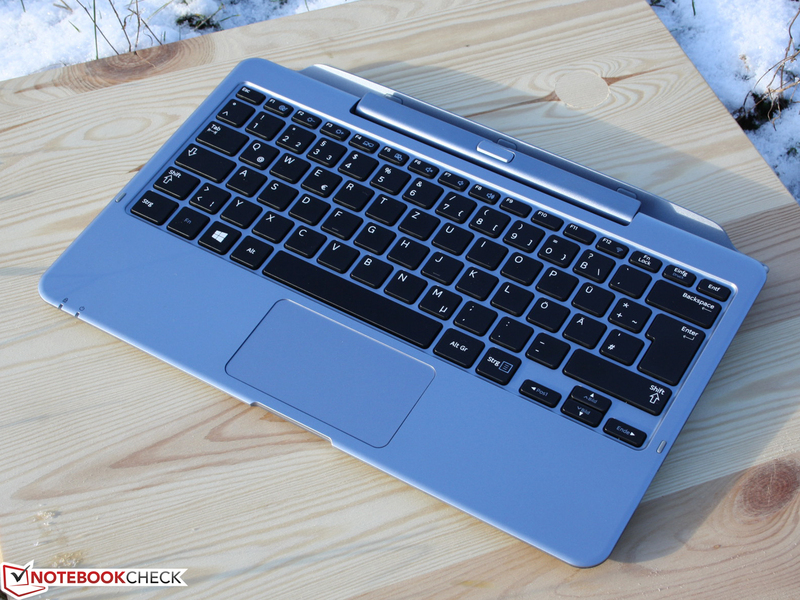 Asus takes the mechanically easiest solution and inserts a second lid into its 11.6-inch Taichi 21 subnotebook. HP and Acer, like Samsung, rely on dock screens (HP Envy X2, Acer Iconia W510P). The advantage of the docking solution is that you don't have to carry around a bulky and heavy casing when you don't need the keyboard. The drawback is that the tablet has to accommodate the battery and computing power. However, even much thinner tablets accomplish that too. 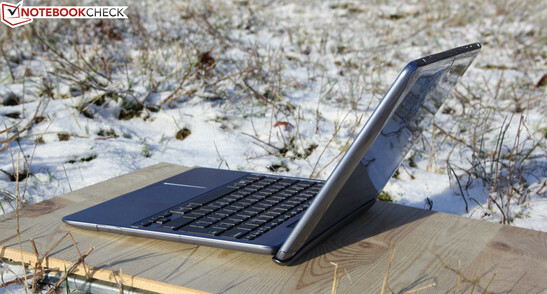 The Clover Trail Atom does not need active cooling and is more energy-efficient than a Tegra 3 (Android tablets) in some cases. 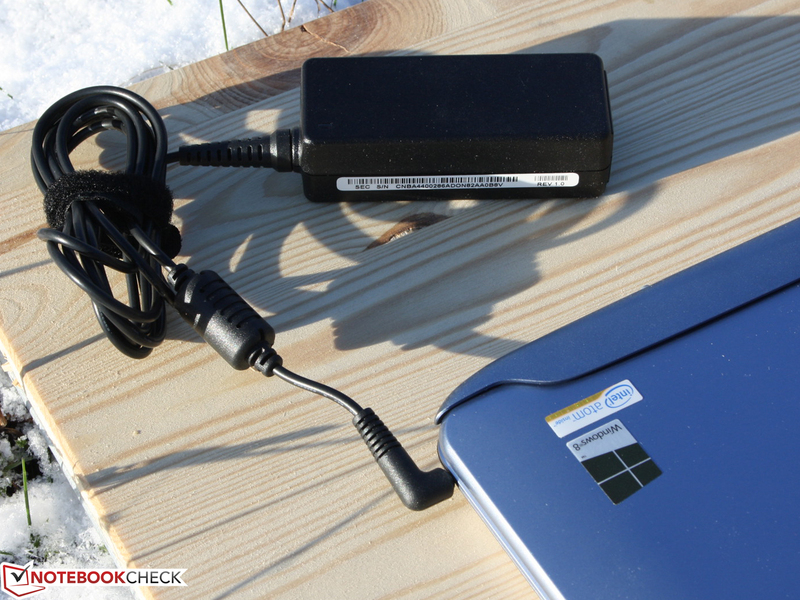 Consequently, a big 60 watt hour laptop battery is not at all needed. 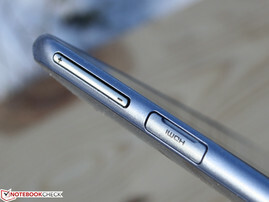 Now a closer look at the 11.6-incher's massive metal hinge. Two bolts secure the tablet firmly and the lock is released mechanically by pushing a big button in the center. 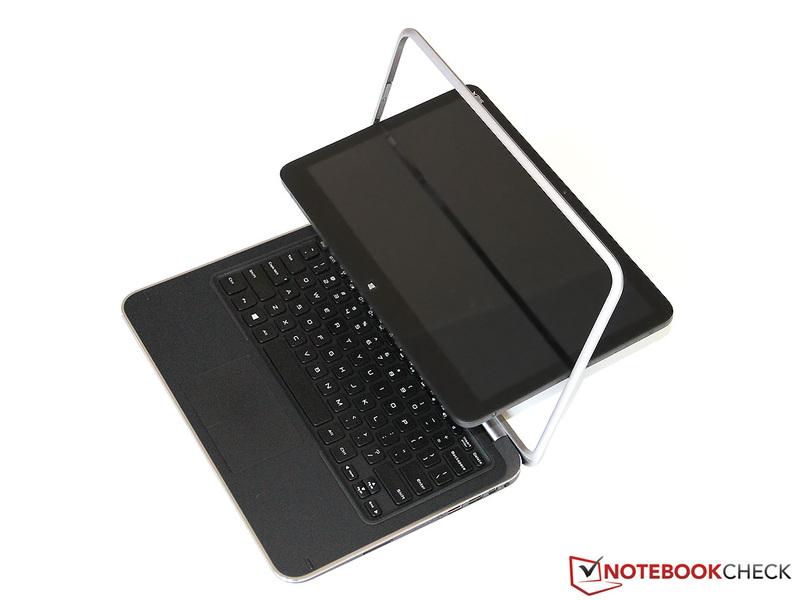 The connection features a good mount and the tablet stops firmly in the widest opening angle. This is favorable because the device fits securely on the keyboard dock in laptop mode and touch inputs find a suitably fixed surface. However, the hinge cannot prevent the heavy "lid" from rocking. 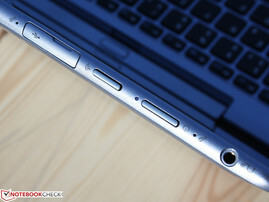 We did not like the narrow opening angle of merely 120 degrees in laptop mode. However, we suspect that it is so narrow because the heavy tablet would otherwise lift up the fairly light keyboard dock. But what's worse is that the "screen" falls back onto the keys by itself; except for the final stop, the hinge does not provide a hold point. This becomes aggravating when the ATIV is not only used on a table but is carried around in laptop mode. The "lid" constantly shuts itself and that is annoying. We cannot imagine what purpose this "loose" hinge might have. But it must be intentional because a slight resistance has to be overcome at approximately 5 degrees by using the second hand. 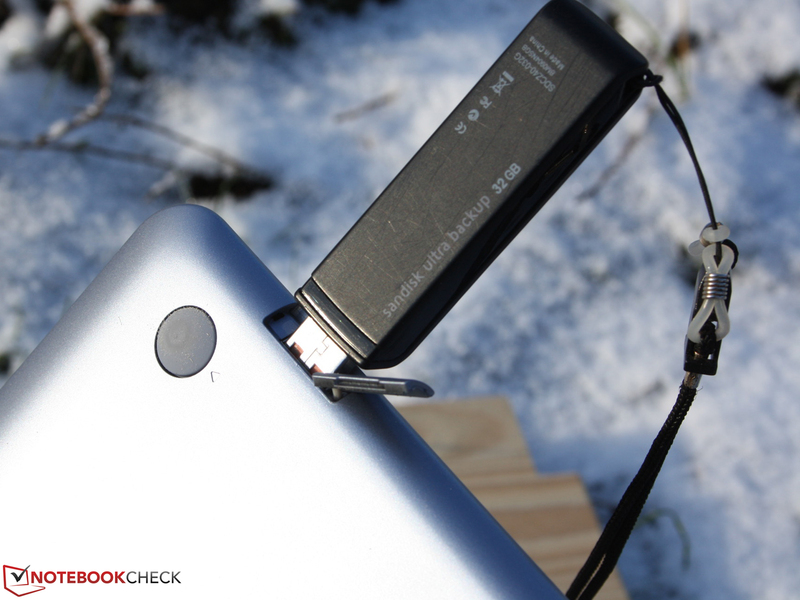 We really like the actual tablet's stability and workmanship. 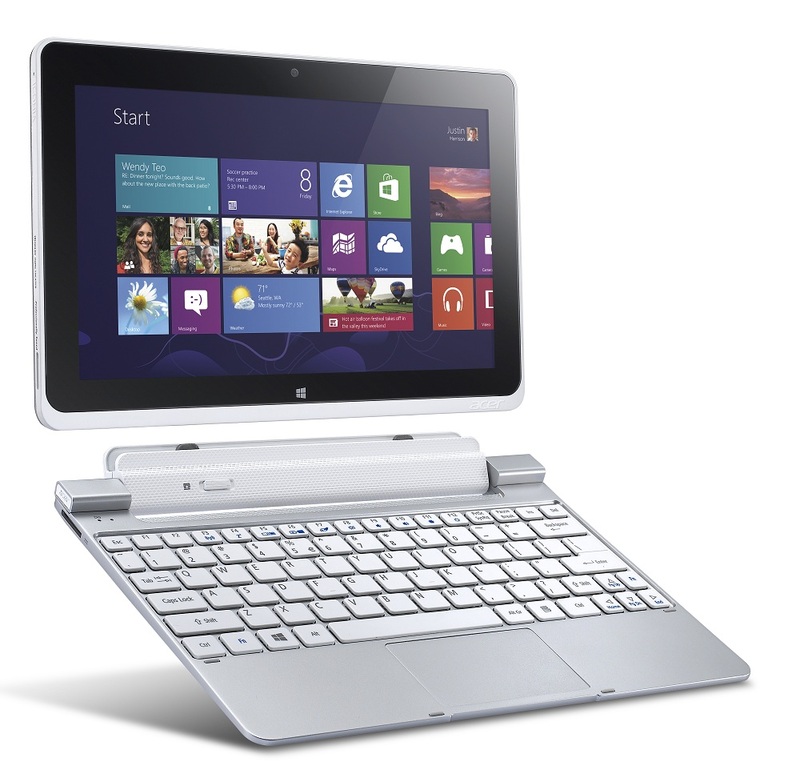 The screen features a very good pressure resistance like known from premium non-Windows tablets. The sleek, clear coating on the back has the same feel as the front and is as usual soon covered with fingerprints. We deem the back as unsuitable because it is so slick that the tablet might slip out of the hands. The keyboard's base does not match to the tablet body's stable impression. It can be warped with relatively little effort and you can see how the metal hinge tugs at the keys' plastic base when opening it. The combination of tablet and keyboard dock let the connectivity of Android devices look inferior. 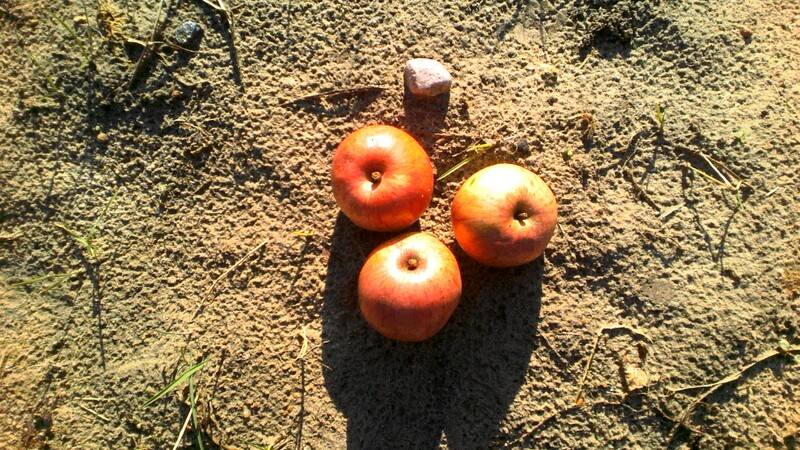 Three (full-size!) 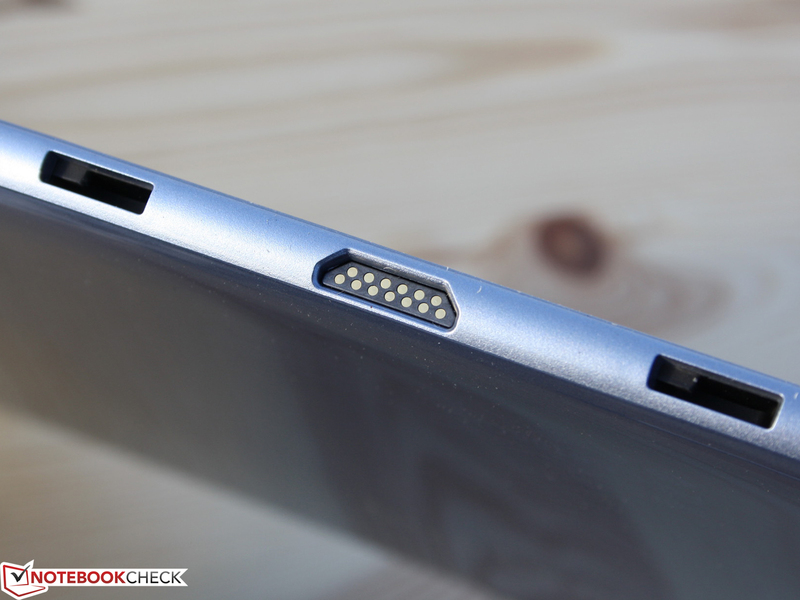 USB 2.0 ports, one of which is on the tablet, and a micro HDMI are the highlights. 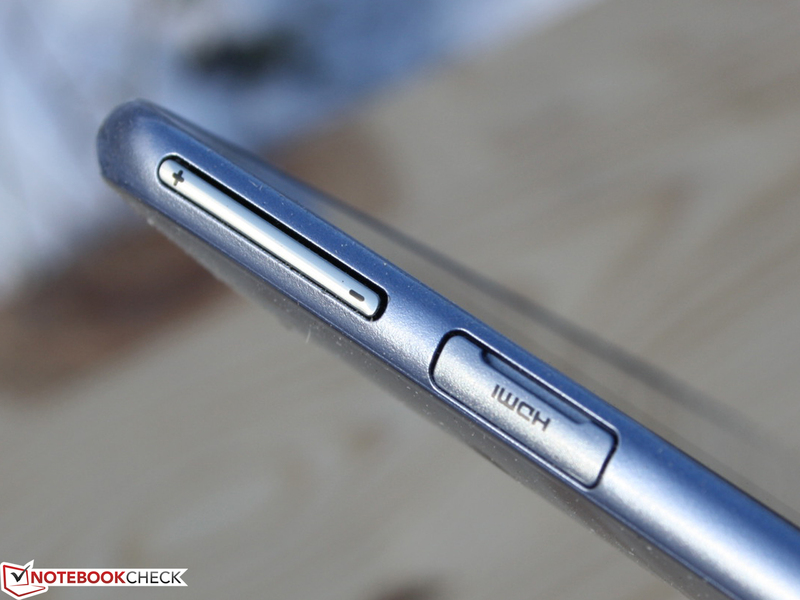 A SIM card slot for the integrated 4G/LTE modem is also available. Micro SD memory cards fit into the ATIV just as well as standard 3.5 mm jack plugs for microphones / headphones (headsets). The tablet's connection to the network via draft-n Wi-Fi (a/b/g/n) and 4G/LTE modem is state of the art. This is also appropriate because fast internet access from the client's side is standard for 700 Euros (~$921) including a keyboard dock. Bluetooth 4.0 finishes off the mobility bundle. 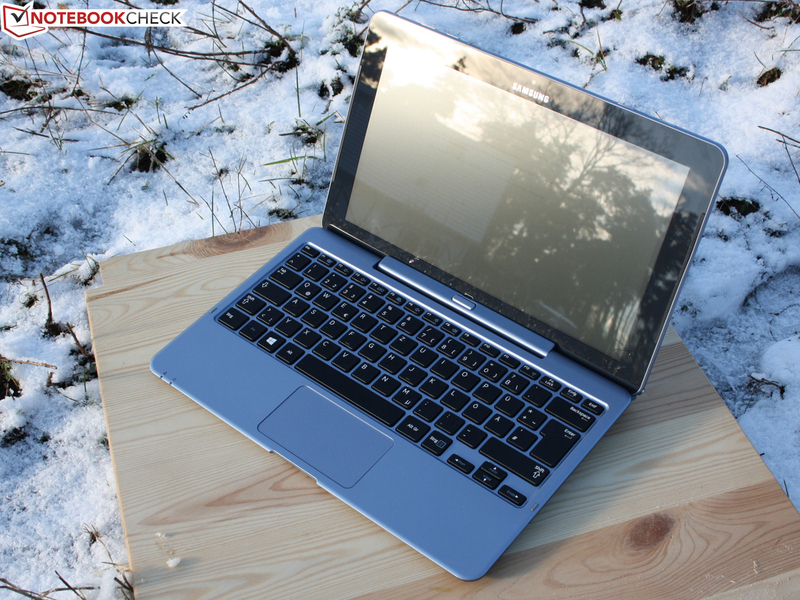 Samsung's ATIV Smart PC is also available without the keyboard dock. Strangely, offers found without the dock are more expensive than with one (700 Euros, ~$921). 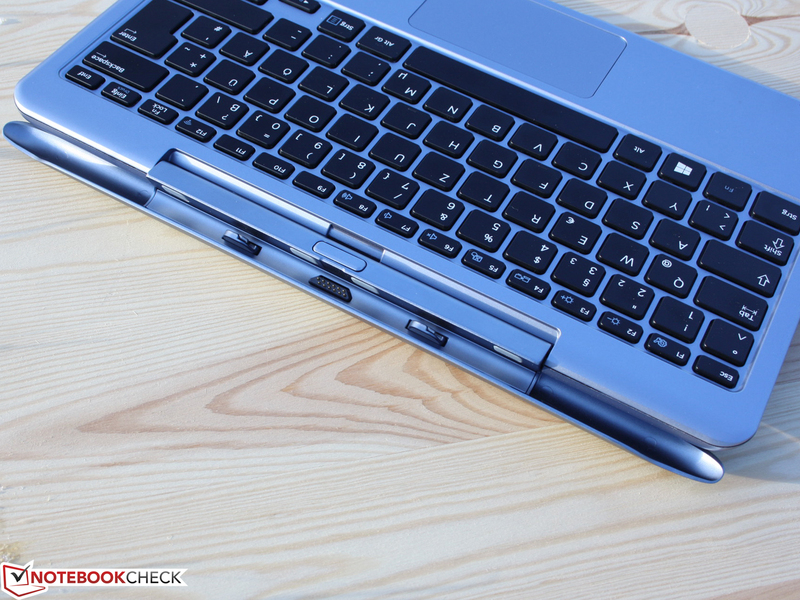 Regardless of that, the buyer should opt for the keyboard in any event since it is necessary for the tablet to mutate into a small Windows laptop. 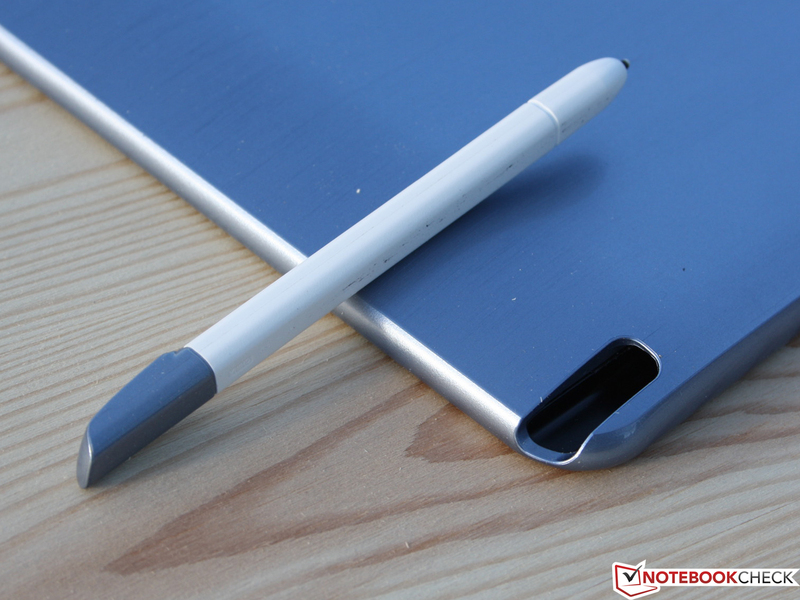 A stylus pen (passive, no battery) is inserted into the tablet's chassis. Invisible yet present, the tablet sports an accelerometer, position sensor and gyroscope (stabilizing gyro, detects the tablets position e.g. in games; standard in modern tablets). Samsung restrains itself when it comes to software. Besides S-Note, S-Player, Photo Editor and Norton Internet Security (90 day trial) there is only the familiar Easy Settings tool. However, the user does not have much storage capacity for personal programs. A shockingly low 20 GB of the 64 GB flash memory is free. We recurrently found the limits and had to delete games/benchmarks right away. 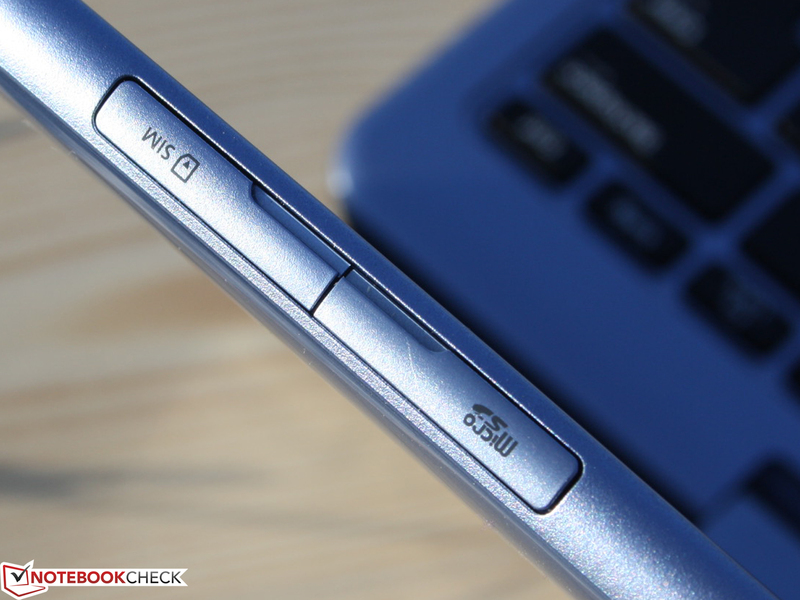 If you are planning to use the ATIV as a small work device, you will definitely need a micro SD memory card (64 GB approx. 50 Euros, ~$65). The BIOS is more than Spartan. No settings can be made apart from the booting order and TPM module's activity. The Smart PC sports such a module for uniquely authenticating the device. Larger IT infrastructures employ this technology. 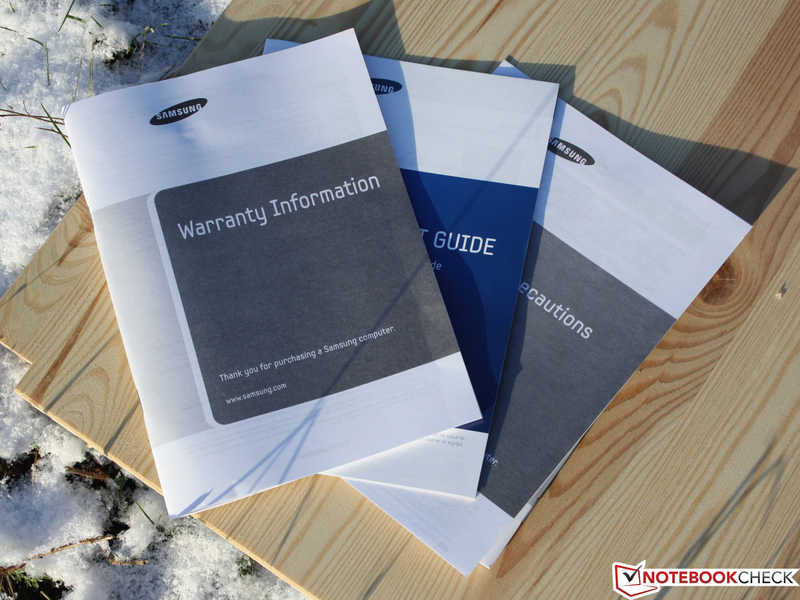 Samsung includes a 24 month warranty with a flexible service. This means an on-site repair service rather than pick-up service. An upgrade to a total of 48 months costs approximately 139 Euros (~$183). 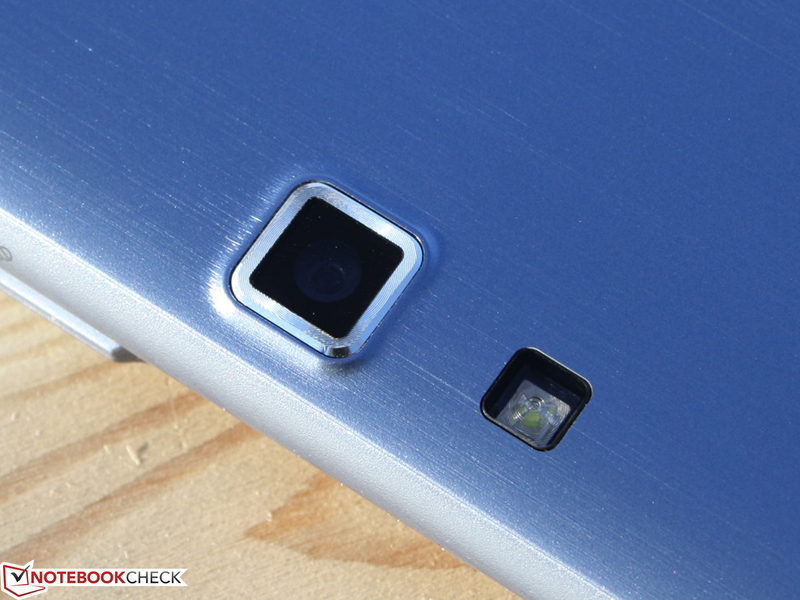 2.0 megapixels (front) and 8.0 megapixels (rear) transforms the ATIV into a gigantic camera. Unfortunately, the picture quality is anything but compelling because focused pictures with fairly natural colors should be possible even in overcast conditions. 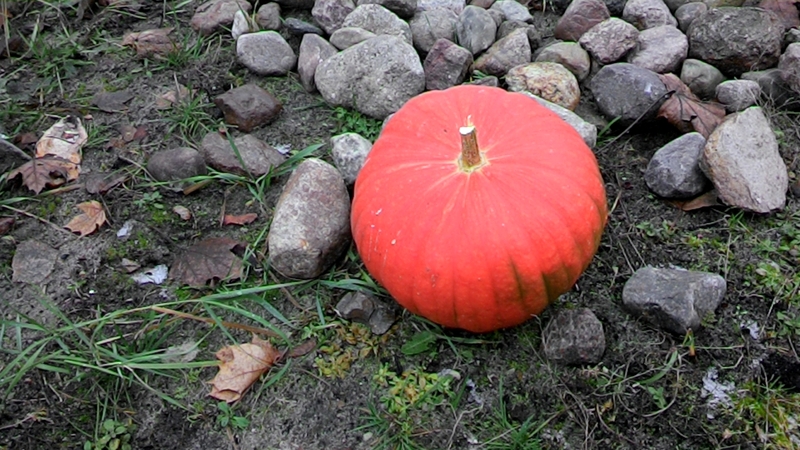 The Smart PC's 8 MP rear-facing camera exhibits an absolutely satiated red and an imprecise focus. The front-facing camera reproduces more natural colors but the focus is also weak. 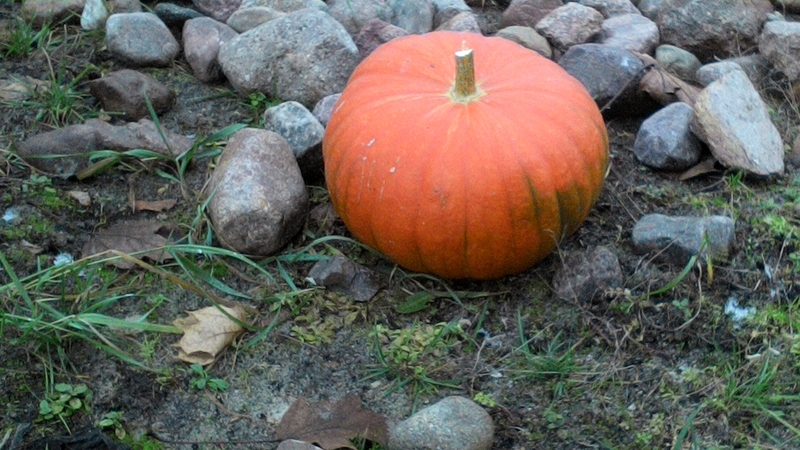 The Vaio Duo 11's 8 MP cam does a much better job. Using the keyboard and touchpad is logical when working in classic menu trees. The stylus pen is useful for triggering icons, markings, etc. more accurately, but recurrently picking up the pen while typing seems unreasonable. The key bed regrettably does not fit as tight as we would have wanted for a crisp pressure point. The keys therefore produce a coiling stroke that vibrates in the center. That is too bad since the good key drop and clear pressure point alongside the clearly arranged layout would have created a very good keyboard. 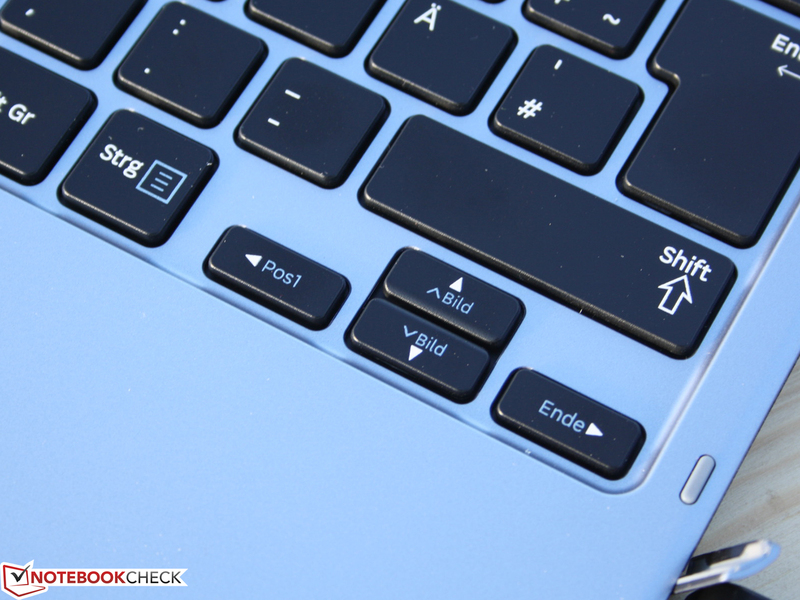 The 13 mm keys (desktop 19 mm) feature a big gap of 4 mm, which allows accurate typing. The wrist rest features a pleasant size and allows incorporating a sufficiently sized touchpad for its dimensions. 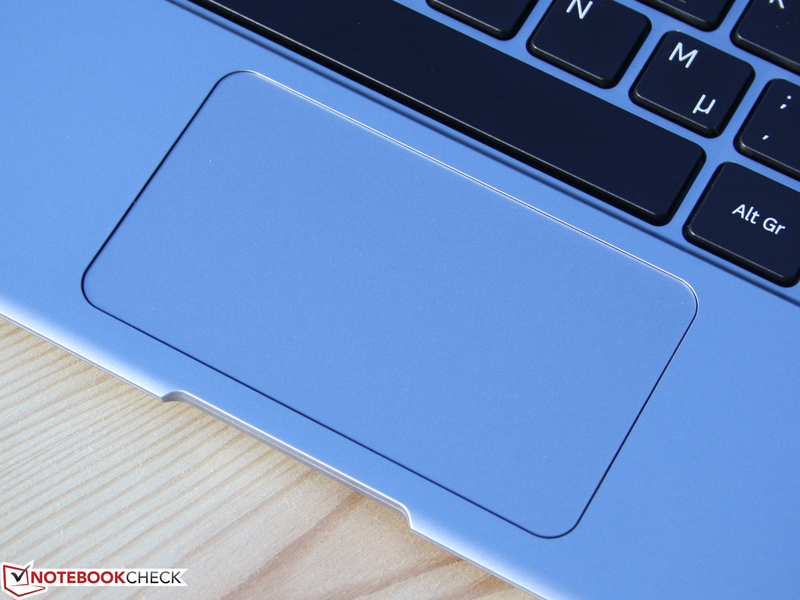 The 9.6 centimeter in diagonal field touchpad is a ClickPad with buttons incorporated beneath it. The pad's just sufficient key drop is not as agreeable when a mouse click is performed in the center. The right and left mouse button underneath the pad's front feature a long, smooth drop and firm stop. The keys' click noise is very loud and will soon get annoying in, for example, the library. The 10 finger multi-touchscreen can be used with either the fingers or stylus. 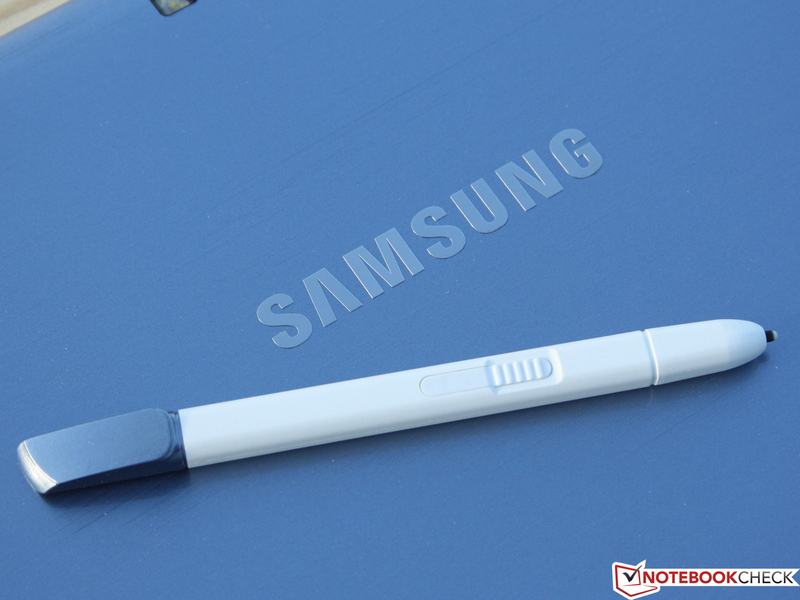 In keeping with Samsung's concept "The pen makes the difference", as used in the Galaxy Note, a small plastic pen belongs to the tablet. It is extremely useful for navigating in the desktop environment or on websites. The cursor displays its position 10 millimeters before it touches the screen. That increases the accuracy and enables handwritten inputs (tool: S-Note). The touch feature can also be disabled in Easy Settings. The 11.6-inch HD LC screen (liquid crystal, TFT) features a low resolution in comparison with other convertibles. Its identically sized Smart PC Pro brother supplies 1920x1080 pixels. 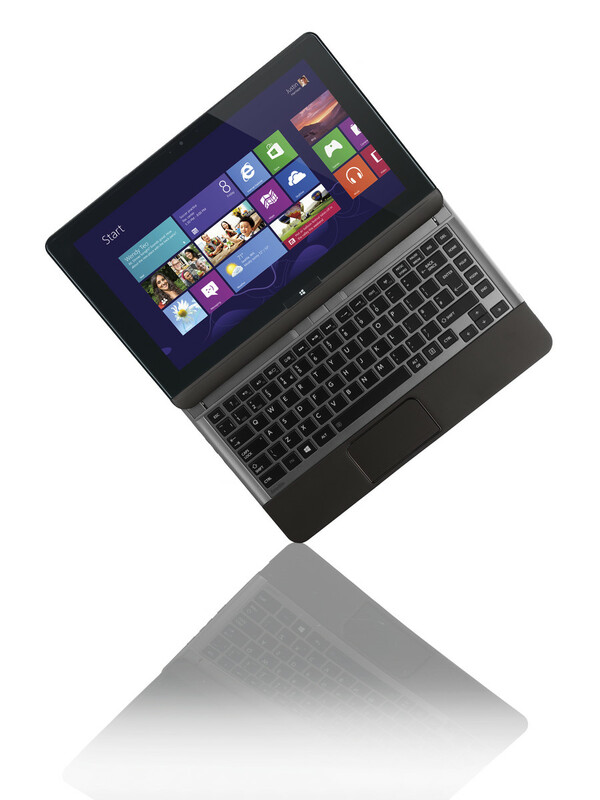 Most convertibles use the latter resolution: Dell's XPS 12, Vaio Duo 11, Asus Taichi 21. We could not perform the contrast measurement due to a driver incompatibility (calibration failed; GMA driver does not support any adjustable gamma curves, so-called video LUTs). 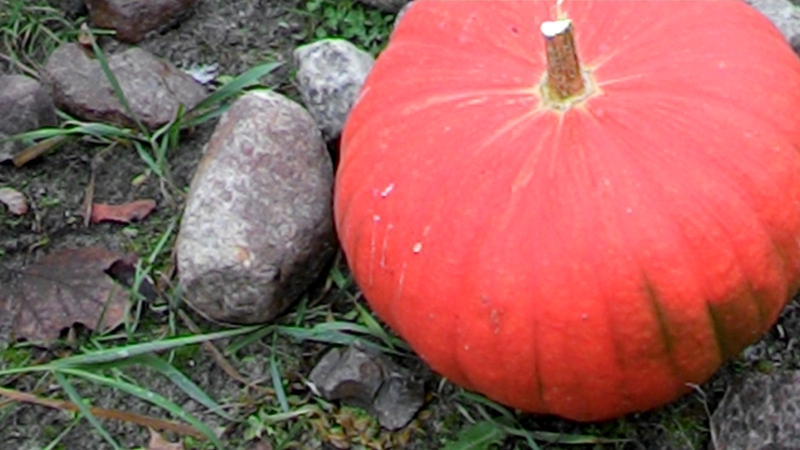 Consequently, we cannot provide a color gamut comparison. 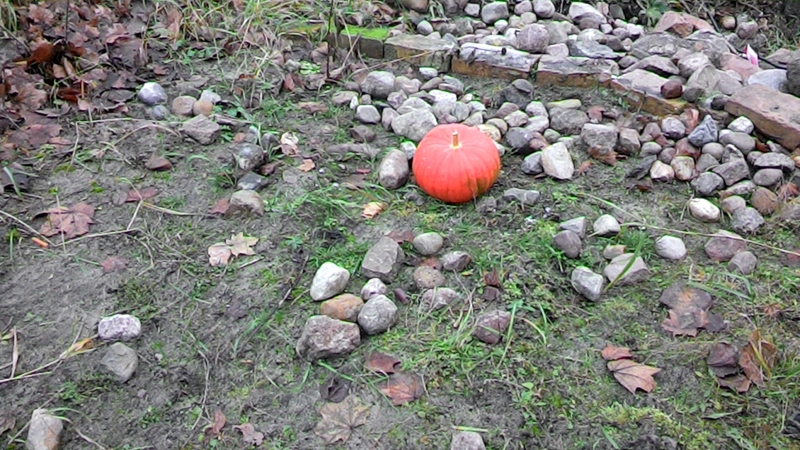 Subjectively, the colors looked a bit pale but not faded. It will likely be a midfield contrast between 350 and 700:1 (estimate). 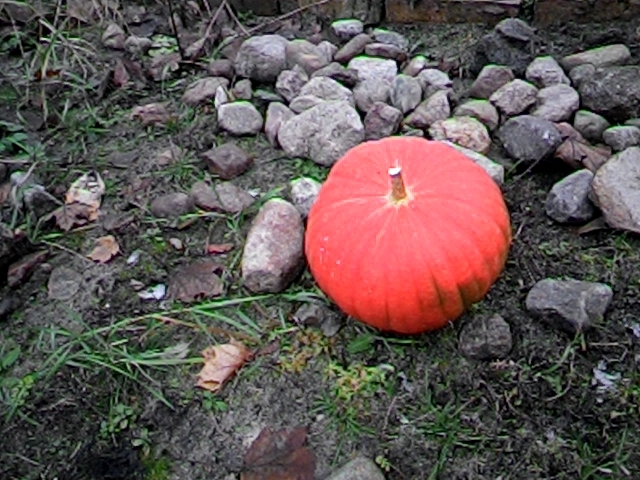 The brightness is automatically adapted to the lighting conditions via an ambient light sensor (beside the webcam, front). This results in an average brightness of 354 cd/m² in daylight (AC mode). 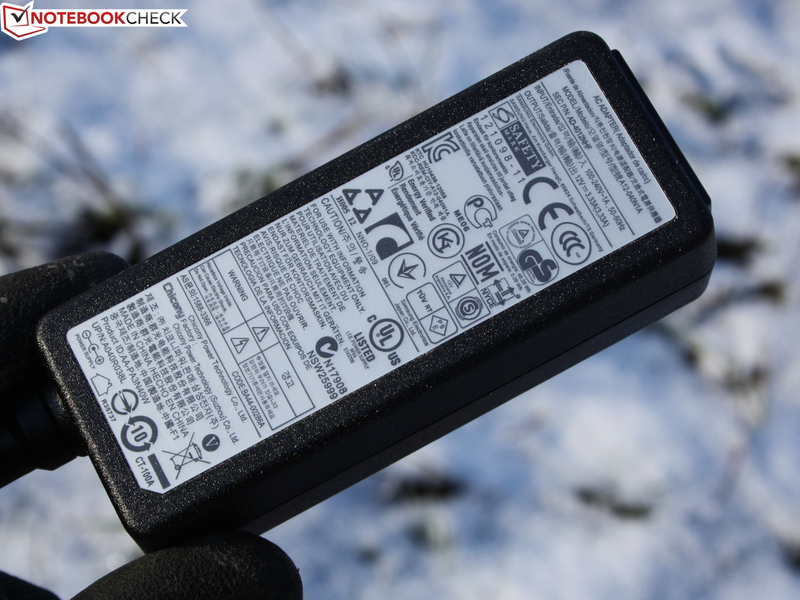 The mobile user has a maximum of 293 cd/m² on battery power in bright daylight, which is more than most laptops have to offer. Depending on the quality, tablets occasionally even achieve 350 to 450 cd/m². Most manufacturers deem a high brightness to be a waste of power and consequently limit the brightness on battery power. However, using a tablet on sunny days is pretty difficult due to the intensely reflective touch surface. Although this shortcoming, which applies to all tablets, can be lessened by a high brightness, it cannot be eliminated. The screen's viewing angles correspond to that of IPS (in plane switching; TFT screen model) displays. Large deviations from a central seating position are possible both vertically and horizontally. We could look at the screen at an angle of 85 degrees from the side and the top/bottom and did not observe ghosting or unwanted dimming. The system-on-a-chip (SoC) Atom Z2760 (Clover Trail) is Intel's answer to the massive distribution of Nvidia's Tegra SoCs found in Android tablets. The chip should be as energy-efficient and scalable as a Tegra due to the 32 nm build. Moreover, Intel wants to benefit from Microsoft's affinity to the x86 architecture and Windows fan community. The Clover Trail is also available for smartphones as the Atom Z2000 and Z2580. This is Intel's attempt to prevail against the ARM and Tegra competition. What does the computing performance look like in relation to the other Atom generations? We can relax: the 2008 N270 (Diamond Ville; Eee PC 1002HA) is 50% and the 2011 N2600 (Cedarview, Aspire One D270) is 9% slower. Seen on a low level, this is remarkable because the load power consumption is virtually halved (see stress test). Before we engage ourselves in window-dressing, a look at both latter laptops shows that even weak low voltage Celeron/Pentium processors in budget laptops are 80 up to over 110% faster in multi-core calculations. We add another device with a Core i5-3317U (Z930-119) for comparison. 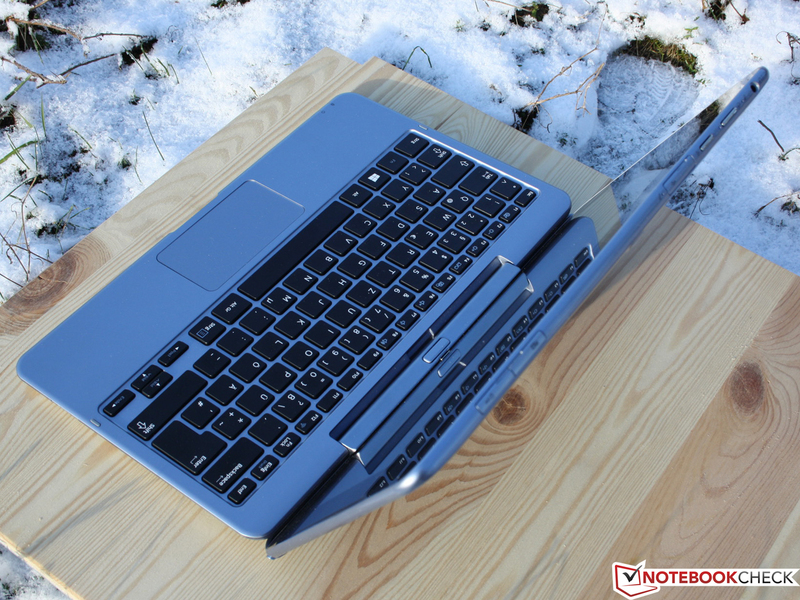 The Smart PC Pro's big brother (XE700T1C-A02DE) is one of many devices equipped with this ultrabook CPU and could calculate 327% faster with it (providing Turbo Boost similar Z930). To prevent the impression that Intel has not made any progress with this Atom, we take a look at smartphones and tablets in Geekbench 2. The Z2760 can keep up with the currently fastest smartphones here. The system finished PCMark 7 quite well despite the processor's weak performance. 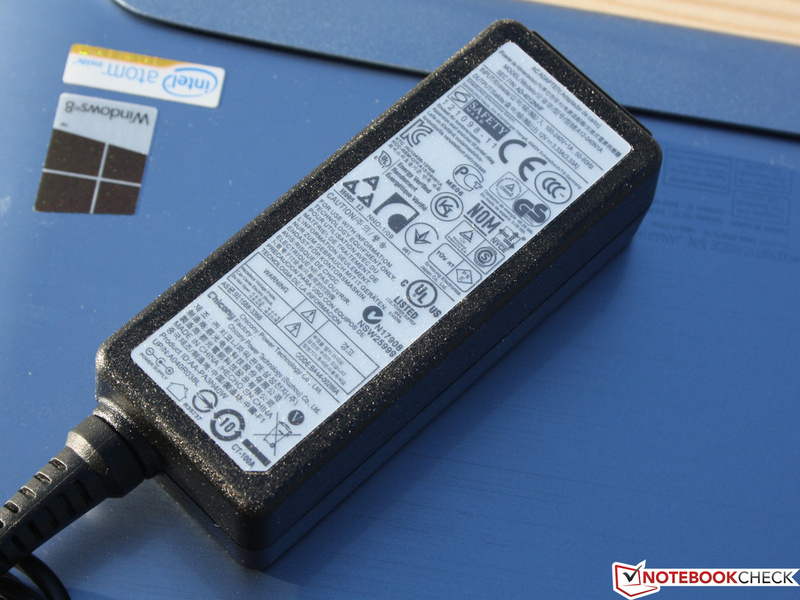 The ATIV is 50% better than the current netbook generation (Atom N2600, Aspire One D270) and only 8 to 15% inferior to Pentium or Celeron laptops (low voltage): The reason for this is doubtlessly the flash memory that outclasses all HDDs in the comparison devices by a good 40% (System Storage score). Fast storage device? We wanted to take a closer look at that. HD Tune and CrystalDiskMark clearly fail the normal level of current SSD storages with 52 and 80 MB/s respectively. We used slate and convertible PCs for comparison. The good access speed is achieved by the feasible 4K throughput. 7MB/s is not perfect, but much faster than the ~0.4 MB/s of a conventional HDD. The PowerVR SGX545 (IGP) in the SoC lags very far behind in comparison with other integrated solutions from AMD or Intel. It can only excel over the old GMA 950 and 3150 (see Cinebench R10 Shading 32-bit above). AMD netbooks (Aspire One 725) feature a much superior GPU performance. Due to the lack of an HDMI adapter (executing 1280x1024 not possible), we compared 3DMark05 (1024x768) with the Atom, AMD, Pentium and Intel Core system used in CPU performance. The old Atom GPUs (GMA 3150 / 950) are clearly defeated, while AMD (E1-1200) wins. HD Graphics (Sandy Bridge) and HD 3000 calculate much faster and can thus even be used for gaming in low details. This is not the case with the PowerVR SGX545 due to the lack of DirectX 10 support. Even the undemanding FIFA 13 fails in low settings for the first time (including graphic errors FIFA, World in Conflict). The Smart PC does not sport a fan and is cooled passively. 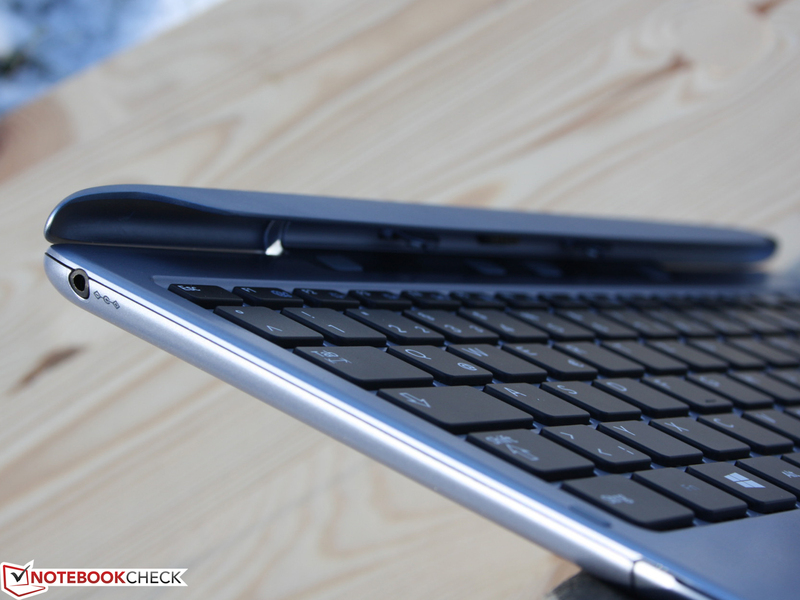 Like Tegra-based devices, the ATIV Smart PC does not sport a case fan. This is possible despite the Atom processor because Intel designed the Z2760 as an energy-efficient tablet CPU. As the power consumption shows us, the former Atom generations in netbooks were downright energy wasters. Thus, an active case fan was almost always installed. Though it was principally possible to passively cool the Atom since the second generation (N450, etc. ), the manufacturers shied the weight and dimensions of larger heat sinks and preferred conventional fans. Since a flash memory is used as the storage device, there are no other movable parts inside the tablet that could produce noise. 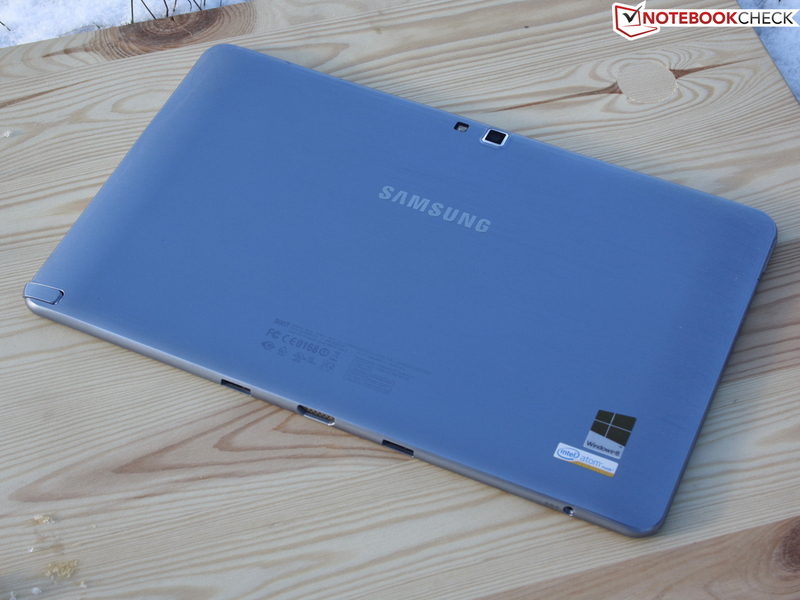 Consequently, the ATIV always remains absolutely silent. This is not a drawback for possible heat. 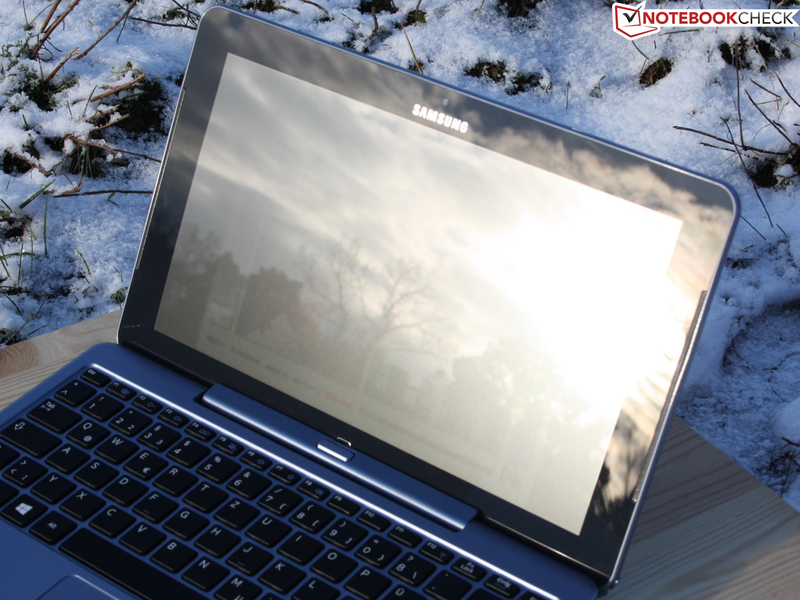 The ATIV was always within an inconspicuous range during all operating states we tested. The user should not experience any restrictions in tablet mode with a maximum surface temperature of merely 32 °C on the back and up to 34 °C on the screen. We recorded the temperatures on the tablet's front and back. The keyboard dock remained at room temperature since it does not contain circuits or a battery. The ATIV runs through the stress test (load: Furmark + Prime95) with a stable CPU clock of 1.8 GHz. Since we noticed that the mouse cursor recurrently jerked during simultaneous activities (parallel installations), we checked the CPU's capacity. In cases like this, the Atom is constantly loaded to 100%. (+) The maximum temperature on the upper side is 33.8 °C / 93 F, compared to the average of 35.4 °C / 96 F, ranging from 21.8 to 55.7 °C for the class Convertible. (±) The average temperature of the palmrest area of similar devices was 29 °C / 84.2 F (+0.7 °C / 1.3 F). 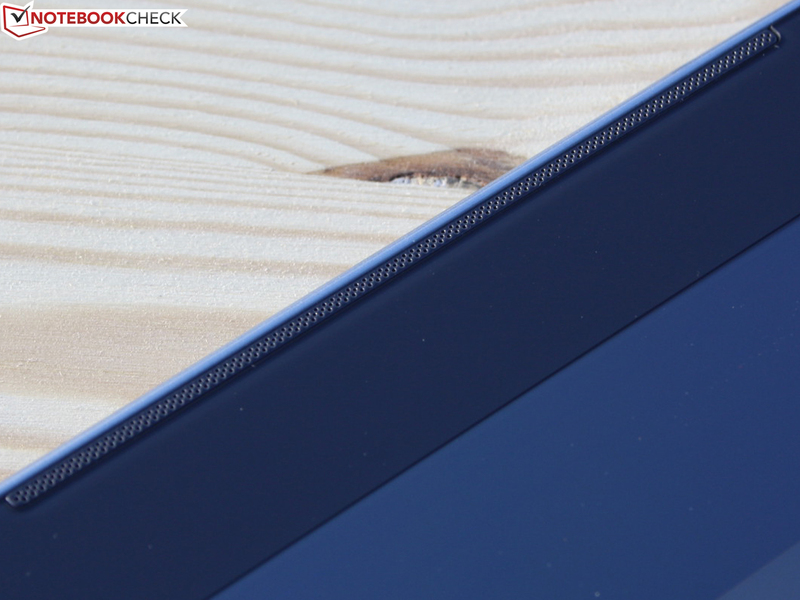 The built-in speakers at the tablet's edges provide an acceptable sound for quiet background music or a movie when the volume is properly adjusted. The maximum volume lets the speakers overdrive slightly and the sound loses some of its quality. Low ranges and bass are disappointing since they simply do not exist (treble-heavy sound). A standard 3.5 millimeter combo audio jack is available for earphones and is the perfect solution for headsets. The power consumption ranged between 1.6 - 4 watts in idle and a good 6 watts during load via 3DMark06. This extremely low power consumption is on the level of 10-inch Tegra tablets and thus no longer comparable with the Windows convertibles we have previously tested. The Vaio Duo 11, featuring the same screen size but the i5-3317U ultrabook processor, consumes 5 - 11 watts in idle and 34 watts during load. The computing power of this genuine PC hardware is naturally much higher than our Intel Atom based ATIV Smart PC. The 40 watt PSU is apparently oversized for this power consumption. However, recharging the battery consumes 23 watts. When added up, we have 31.5 watts during maximum load. A complete recharge takes almost three hours when the device is on. We test three battery runtime scenarios: The minimum possible battery life (screen: maximum brightness, no timeout) and the maximum runtime in idle with disabled Wi-Fi module and minimum screen brightness. The third scenario is Wi-Fi surfing at a brightness of 150 cd/m² (brightness sensor is fully exposed) and a script opens various websites every 40 seconds. It also includes playing many videos. The ATIV lasted for 270 minutes before it was drained in the load scenario. The read test ran for 883 minutes before the battery gave up. We could browse through websites for over seven hours (434 minutes, Wi-Fi test). That is a decent runtime for the 30 Wh battery. However, Microsoft's Surface RT (932/./516) lasted longer and most 10-inch Android tablets are online for up to three hours more in the relevant Wi-Fi test. Here's a short list: Huawei MediaPad 10 FHD (883/312/417), Medion Lifetab S9714 (683/216/416), Amazon Kindle Fire HD 8.9-inch (855/183/456), Lenovo IdeaTab S2110A (1182/223/494), Apple iPad 4 (1264/252/555), Google Nexus 10 (1030/212/653). 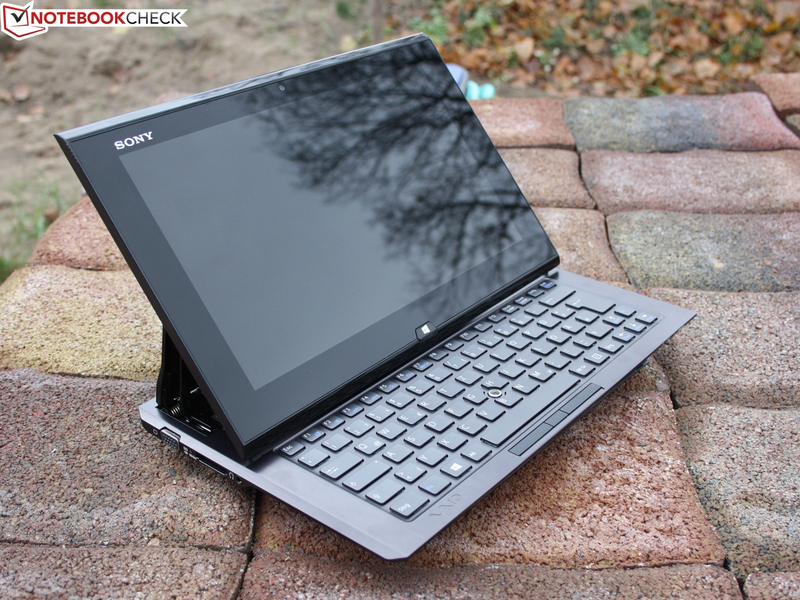 The convertible contenders using an ultrabook platform cannot keep up with these figures: Sony Vaio Duo 11 (440/106/227), Dell XPS 12 (578/91/334), IdeaPad Yoga (385/119/269), Asus Taichi 21 (308/77/195). 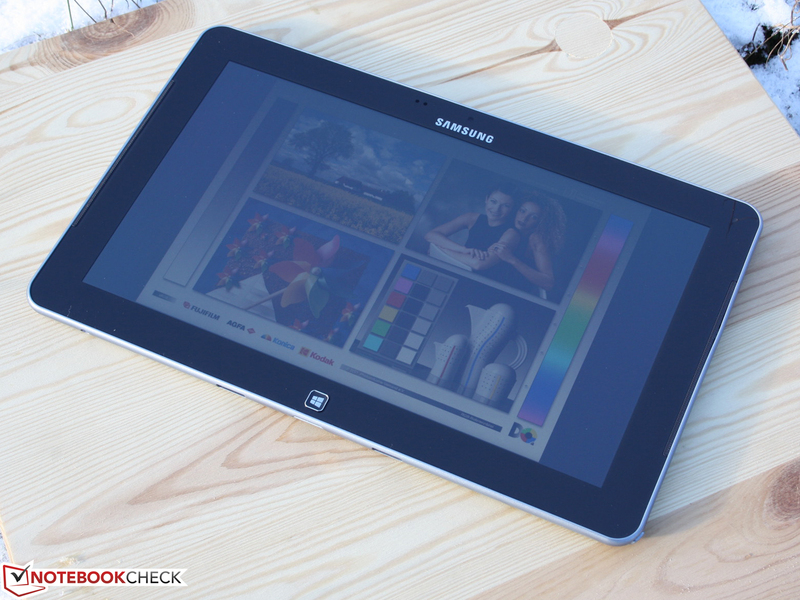 Samsung launched a versatile Windows tablet on the market with its ATIV Smart PC. It is aimed at Windows users who want to work just as productively as on a Windows subnotebook but without an App Store (Windows RT) and with a dockable tablet keyboard. Samsung won't win over Android fans because those who simply need a keyboard will buy a tablet stand and a Bluetooth keyboard. Moreover, the Android hardware is much less expensive than the almost 700 Euros (~$921) ATIV Smart PC XE500T1C plus keyboard dock. So we'll stick to the Windows fan who wants to get comfortable with the Smart PC without a cloud printer and alternative software. However, a big hurdle has to be overcome: The 64 GB flash memory is definitely too small. We only had 20 GB available in state of delivery. A micro SD with an additional 64 GB has to be inserted right away. The Atom Z2760 naturally does not provide a speedy performance, but a comparison with laptop processors would be unfair for the tablet CPU. Unfortunately, this does not interest Windows 8 much. If you are used to jumping back and forth between several windows, you will still be able to work fast enough. However, even the cursor starts to jerk as soon as the processor is put under load (copying, program installations, etc.). Buyers should realize that they are purchasing netbook power that is far below the work speed of simple laptops (Pentium / Celeron). 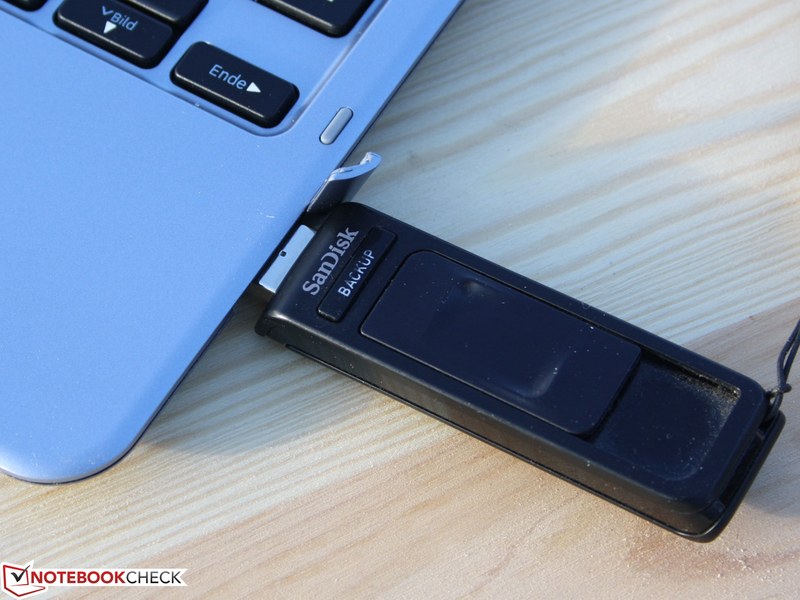 The flash memory improves the work speed a bit and makes non-power use quite pleasant. Memory too small, processor too slow - why not buy the big Smart PC Pro (XE700T1C-A02DE) with a Core i5 and a 128 GB SSD right away? The answer could be yes if it were not for a small price difference. It costs 1500 Euros (~$1974). Samsung ATIV Smart PC XE500T1C-A02DE: Perfect entry tablet for Windows fans - but it's a lot of money for little computing power. Active and Smart. Is this what Samsung hints with its ATIV branding? and implements the possibilities of Windows 8 into practice. finger operation in tablet style on the new Metro interface. Devices that control both worlds are currently flooding the market. 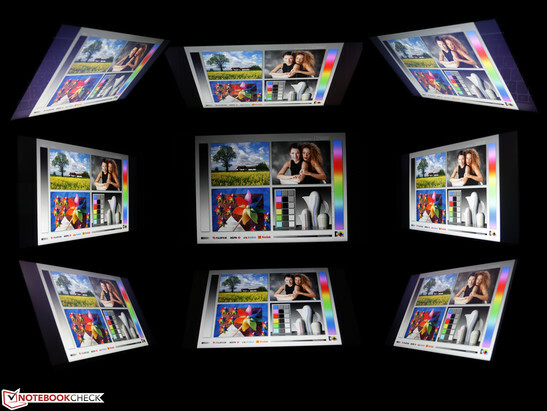 The technical implementation ranges from sliders over dual-screens up to 360 foldable displays. The goal is always the same: Windows fans fearlessly mutate to tablet users. They remain loyal to the group and can continue to use familiar programs. The keyboard dock alongside its two additional USB ports is good for productivity. 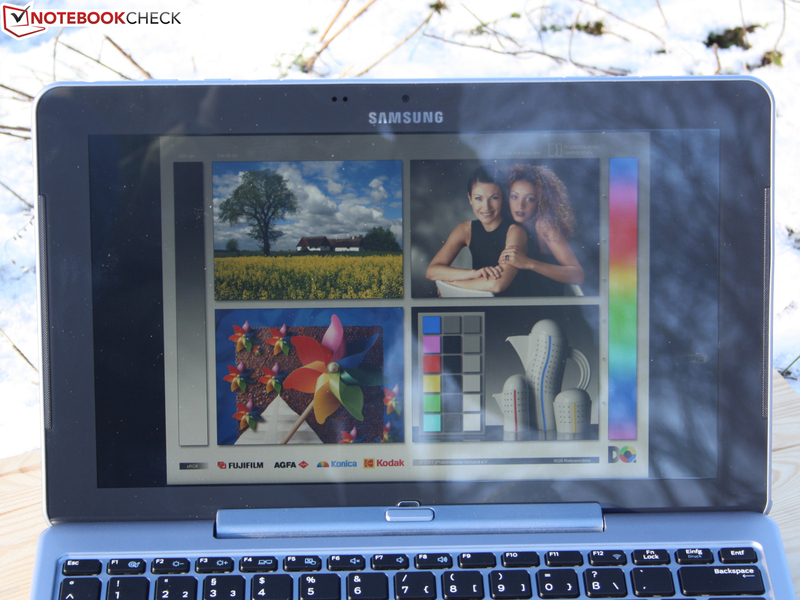 Despite the weak Atom processor, Samsung does not rely on Windows RT "light"
but uses a normal Windows 8 32-bit. 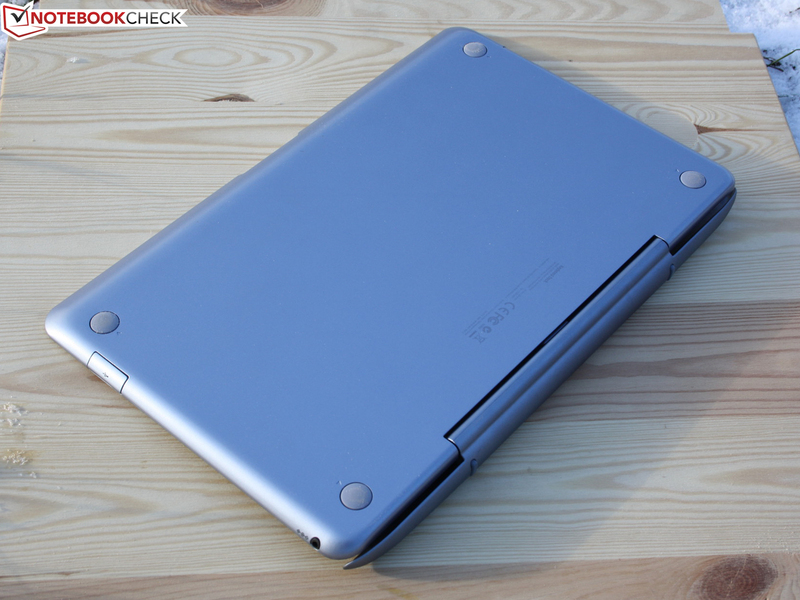 The chassis is characterized by good stability – this applies only to the tablet itself. The mount makes a solid and long-lasting impression. The less stable and lightweight "base unit" cannot prevent some rocking and coiling. 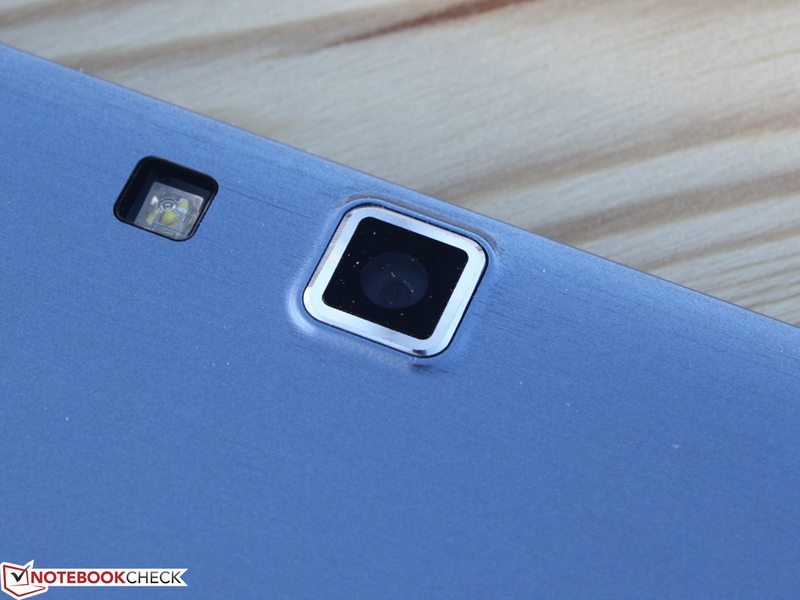 Samsung installs an ambient light sensor beside the front-facing cam. It is more annoying than useful due to the permanent brightness flickering it induces. The speakers are located here at the tablet's edges and render good tablet-sound. This button mechanically releases the "lid's" lock. The small PSU as a plug solution would have appealed to us more. very oversized. Consequently, overheating is hardly ever an issue. 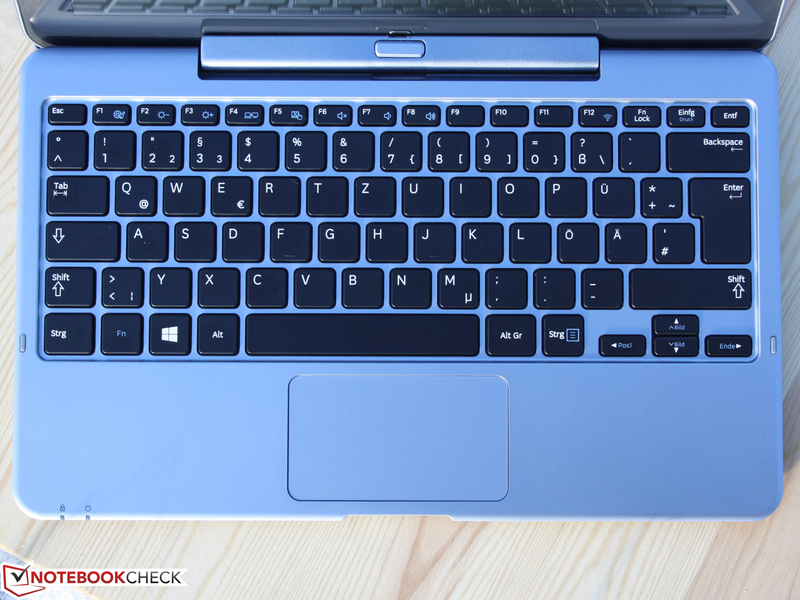 ATIV Smart PC XE500T1C-A02DE: Keys feature a crisp pressure point but coil a bit. 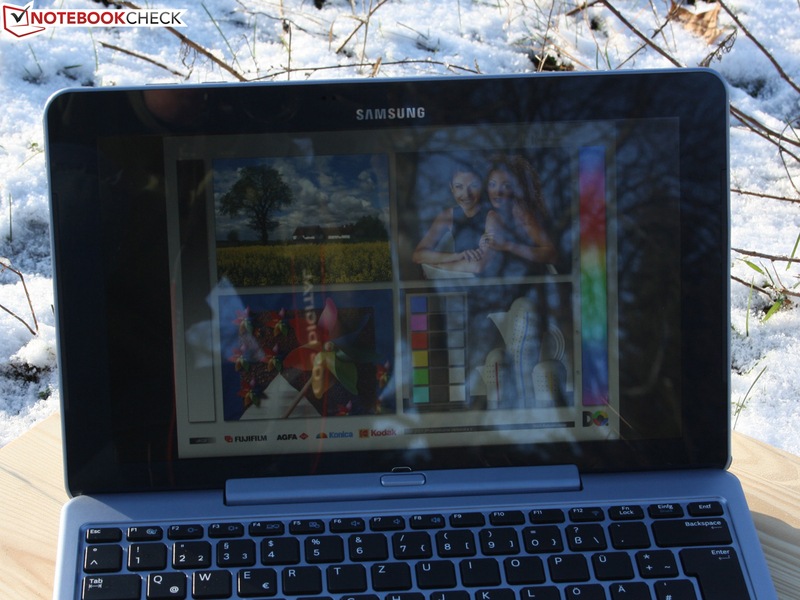 ATIV Smart PC XE500T1C-A02DE: Multi-touchscreen with high brightness but annoying reflections. ATIV Smart PC XE500T1C-A02DE: The keyboard dock featuring keys, touchpad and 2x USB extremely increases productivity with Windows. ATIV Smart PC XE500T1C-A02DE: The docking hinge is stable and solid. Unfortunately, it cannot prevent the lid from closing by itself. ATIV Smart PC XE500T1C-A02DE: Windows users can work either traditionally with a desktop or via finger gestures in tablet mode. The basic idea: Add keys and work productively. Memory capacity. The 64 GB is almost completely full just with Windows 8 and the recovery partition. The courage to install a standard Windows 8 (32-bit) on tablet hardware. However, this combination will not provide a satisfactory work speed in the long run. We used Dell's XPS 12, Sony's Vaio Duo 11, Asus' Taichi 21, Lenovo's IdeaPad Yoga 13 and Microsoft's Surface RT (Windows RT) in this review. 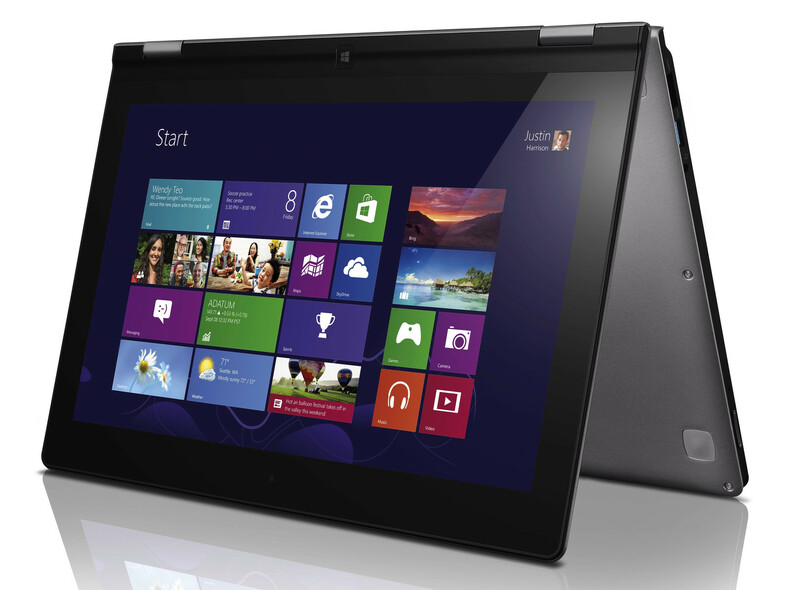 We will shortly be reviewing: Toshiba Satellite U920t, Lenovo Ideapad Yoga 11, HP Envy X2, Acer Iconia W510P.